Atlanta, GA- (April 3, 2012) -The Gospel Music Association (GMA) today announced that music legend Yolanda Adams, nominated for Contemporary Gospel Album of the Year for Becoming, will perform, along with nominated artists The Tenors and Tedashii, at the 43rd Annual GMA Dove Awards. 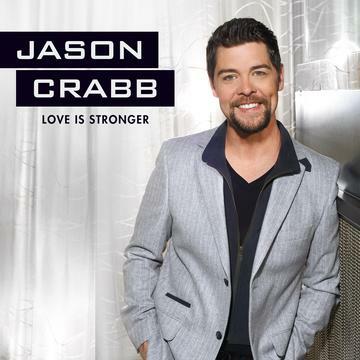 These accomplished artists will join the powerhouse talent already announced as performers for the awards show, including: Lecrae, Natalie Grant, Donnie McClurkin, Jason Crabb, Jamie-Grace, Kim Burrell, Kari Jobe, Danny Gokey, Ruben Studdard, Mandisa and The Isaacs . The GMA released the news today that the presenters for the event will include GRAMMY nominated R&B artist and Worship Leader Montell Jordan. He is known to millions for his iconic songs This is How We Do It and Let’s Ride and the soundtracks to The Nutty Professor, 8 Mile, Save the Last Dance and The Fighting Temptations. Montell Jordan has served as the Worship Leader at Victory World Church in Atlanta since 2010. Actress and music artist Tamela Mann, of Meet the Browns and Madea fame, is set to present at the ceremony. She is acclaimed for her soulful soundtracks on Meet the Browns and Diary of a Mad Black Woman. Aaron Lindsey is the Gospel music industry’s top-selling producer. His most recent work Love God, Love People which he co-produced with longtime collaborator Israel Houghton and industry legend Tommy Sims was awarded a GRAMMY for Best Pop/Contemporary Album. He produced the RIAA Gold-Certified Thirsty for Pastor Marvin Sapp which charted in the Billboard Top 10 for an unprecedented 105 weeks. Lindsey also produced Pastor Sapp’s Here I Am which set a record for Highest Charting Gospel Album in Billboard history. The 43rd Annual GMA Dove Awards will take place on April 19 at the Fox Theatre in Atlanta. The award show is produced by the Gospel Music Association (GMA) to offer the most comprehensive platform celebrating Christian and Gospel music. The awards ceremony will be nationally televised on GMC TV on April 24 at 8:00PM and 10:00PM ET. The public is invited to purchase tickets to see and experience all of the performances and awards ceremony live at the Fox Theatre in Atlanta on April 19 at www.ticketmaster.com. Last year, the popular event sold-out and was one of the hottest tickets in Atlanta. The historic Fox Theatre is one of Atlanta’s premiere venues for live entertainment. The Fox’s 4,678 seat theatre is booked more than 300 performances a year ranging from Broadway to rock to comedy to movies. In December 2009, Billboard Magazine ranked the Fox Theatre in Atlanta as “The #1 non-residency venue worldwide for the decade (5,000 seats or less).” The Fox Theatre is located on Peachtree Street in the middle of the city. Not only is it on the National Historic Register, but it is one of the most beloved landmarks in the city because it is a real memory maker for the citizens of Atlanta. They may have come here to see their first performance or Broadway show; they had their first date here, and maybe even had their first kiss in the balcony. Our ballrooms are spectacular and have hosted everything from Sweet 16s to weddings and corporate events. GMC (www.watchGMCtv.com) is America’s favorite television channel for uplifting music and family entertainment. The Parents Television Council™ has twice awarded its Entertainment Seal of Approval™ to GMC for being “an authentic family-friendly cable network.” GMC is the only television network brand to be so honored. In 2011, GMC was the second fastest growing ad supported cable network in total day households and A18-49. GMC can be seen in more than 51 million homes on various cable systems around the country, as well as DISH Network on channel 188, DIRECTV on channel 338 and Verizon FiOS on channel 224. Follow GMC TV on Facebook and Twitter at http://facebook.com/gmctv and http://twitter.com/gmctv. 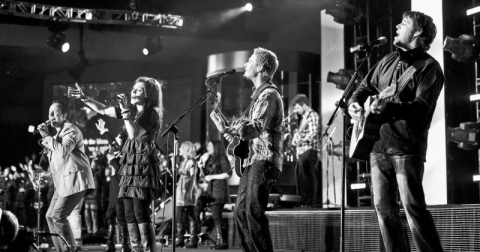 MOBILE, Ala. – October 14, 2010 – Gateway Church, from which “Revelation Song” was birthed and best-selling new artist Kari Jobe was first introduced, will release God Be Praised on November 9. The new album is the third Gateway project released by Integrity Music and Gateway Create. Recorded live, the 15 new songs on God Be Praised once again reflect the passionate worship arising from Gateway Church in Southlake (Dallas), Texas. Led by Assoc. Pastor and Worship Leader Thomas Miller, along with the entire Gateway Worship team, God Be Praised features both energetic praise and intimate worship for a project that centers around the theme of “the victory we have in Christ,” according to Miller. Gateway Church, which began ten years ago with just 200 people, has grown into an influencing and equipping center that weekly ministers to thousands. At the heart of this dynamic church is its vibrant worship ministry that has become known for offering some of the most popular new worship songs of this generation. 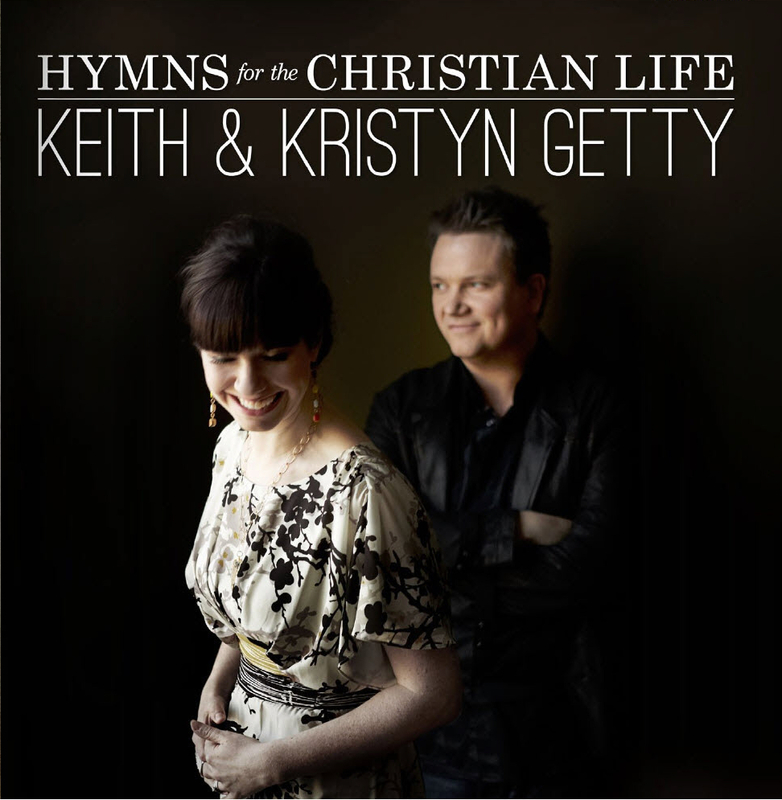 These include “No Sweeter Name,” “Come Thou Fount, Come Thou King,” and “Revelation Song,” the 2010 winner of a Dove Award for Worship Song of the Year. Comprised of worship leaders, singers, and songwriters, Gateway’s worship team offers a rich tapestry of experience, talent, and perspective. Team members include Miller, Walker Beach, Rebecca Pfortmiller, Sion Alford, Zach Neese, David Moore, Jason Tam, and Dove Award-winning artist Kari Jobe. Filled with more than 40 contributors, the group is committed to expressing how God is moving through and speaking to the church. Kari Jobe leads worship at the Saddleback Church 30th Anniversary Easter Service. Photo by Mark Goddard, Saddleback Church. April 14, 2010 – MOBILE, Ala. – Kari Jobe, Dove Award New Artist of the Year nominee and 2009’s top-selling debut artist, worshipped with more than 45,000 at Angel Stadium in Anaheim, Calif. as part of Easter weekend services for Saddleback Church, the Southern California mega-church pastored by Rick Warren. Jobe had been invited personally by Warren, and participated along with The Jonas Brothers in the services which also celebrated Saddleback’s 30th Anniversary. Jobe helped lead worship on both Saturday evening and Sunday morning with Saddleback’s worship leader Rick Muchow and Latin Grammy-winning artist Marcos Witt. “Being a part of Saddleback’s Easter at Angel Stadium was such a cool experience. What a great way to get outside of the four walls of the church and draw people into God’s Kingdom! Of course it was also super fun to be with the Jonas Brothers, Marcos Witt and Rick Warren,” Jobe said of the experience. The Easter celebration was just the start of a memorable month for Jobe. Currently, she is featured on Gospel Music Channel’s website (www.gmclife.com) as the free Download of the Week. Visitors to the site can download “Revelation Song” from Jobe’s debut CD, a song Jobe first made popular a few years ago and is now nominated for Song of the Year and Worship Song of the Year (for its writer Jennie Lee Riddle). This Thursday, Hearitfirst.com will present Jobe live in concert. The two hour event, which starts at 9 p.m. 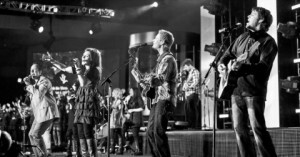 ET, will feature Jobe at the Church Of The Highlands in Birmingham, Ala. The event can be found at www.heartitfirst.com/live. Then, next week, Jobe will be in Nashville for the 41st Annual Dove Awards, where she is nominated for New Artist of the Year, one of the award show’s most prestigious honors. Jobe is also performing on the show. Jobe is recognized for her best-selling self-titled debut CD and her growing reputation as one of the most respected female worship leaders in the country. In addition to New Artist, Jobe is also nominated for Spanish Language Album of the Year (for the Spanish language version of her debut CD) and for Special Event Album for Glory Revealed II: The Word of God In Worship. The public is invited to vote for Jobe as New Artist of the Year, thanks to a special promotion by gmc, the broadcast network that will televise the Dove Awards live on Sunday, April 25 at 8/7c. Fans can vote by going online to http://gmclife.com/fanvoting and by texting DOVE JOBE to the TXT number 72648. Each fan may cast their vote both online and by text. Voting closes on April 20. To connect with Kari Jobe, visit www.karijobe.com; www.twitter.com/karijobe and www.facebook.com/karijobe. MOBILE, Ala. – March 10, 2010 — Kari Jobe, Dove Award New Artist of the Year nominee and 2009’s top-selling debut artist, will celebrate Easter Sunday at Saddleback Church, the Southern California mega-church pastored by Rick Warren. Warren invited Jobe to lead worship that morning, along with The Jonas Brothers. The special Easter service will be held at Angel Stadium in Anaheim at 10 a.m. on April 4. This Easter service marks Saddleback’s 30th anniversary and is expected to be attended by up to 50,000 worshippers. Pastor Warren personally announced Jobe’s participation by Twitter last week (www.twitter.com/rickwarren). Later in April, Jobe will be in Nashville for the 41st Annual Dove Awards where she is nominated for New Artist of the Year, one of the award show’s most prestigious honors. She is recognized for her best-selling, self-titled debut CD and her growing reputation as one of the most respected female worship leaders in the country. In addition to New Artist, Jobe is also nominated for Spanish Language Album of the Year (for the Spanish language version of her debut CD) and for Special Event Album for Glory Revealed II: The Word of God In Worship. The public is invited to vote for Jobe as New Artist of the Year thanks to a special promotion by gmc, the broadcast network that will televise the Dove Awards live on Sunday, April 25 at 8/7c. Fans can vote by going online to http://gmclife.com/fanvoting and by texting DOVE JOBE to the TXT number 72648. Each fan may cast their vote both online and by text. Voting closes on April 20. Jobe will join Desperation Band on a special Heartwork Tour which will visit 13 cities during the month of May. More details on the Heartwork Tour will be announced soon.